1967 was known for many things. Those of us who lived through the sixties remember it as the peak of the cultural transformation that was changing us all. 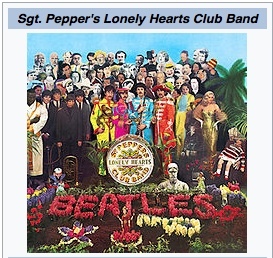 Musically, the focal point would have been embodied by the Beatles’ radical album Sgt. Pepper, which was released that summer. The most colorful expression of the emerging “hippie” culture seemed to be concentrated in San Francisco, especially at the intersection of Haight and Ashbury streets, near Golden Gate Park, where free concerts by groups like Canned Heat, Jefferson Airplane and The Grateful Dead provided a soundtrack to go with the drugs, long hair, bell bottom jeans, and thousands of runaways who landed there to check it out, and tune in. It’s fifty years later, and many aftershocks from that cultural moment are still being felt, in fashion, politics, language, and music. The WannaBeatles have decided to celebrate the 50th anniversary of “the Summer of Love” with a special medley of songs that were hits when they were released in 1967. WannaBeatle Dennis began the project by looking at the charts from that year, to find songs that captured the spirit of the age, songs which would also be fun to play. We even composed a bouncy faux radio jingle about 1967 - the Summer of Love - to integrate into the medley. We found songs that represented that era of love beads as well as any tie-dyed shirt or leather sandals. We found classics by The Doors, The Who, and The Monkees. We found messages of peace, and love, and the aroma of incense. We found some loud guitars, corny lyrics and some wacky chord changes scattered throughout the list. This song is probably the most blatant example of “hippie” jargon packaged as a pop song to exploit the fascination with the San Francisco phenomenon. It was written by John Phillips, of the Mamas and the Papas, and recorded by Scott McKenzie. Dennis sings it, and does a great job, soaring where McKenzie merely warbles. Dennis gives the song more than it deserves. Nathan compares his vocal to Roy Orbison. We also added some extra harmonies. This hit from Strawberry Alarm Clock sounds like it was written by people trying to sound like hippies. The lyrics are loaded with pseudo-enilghtened phrases like “tune in, turn on,” while the chords are jammed into exotic progressions that seem to require a hookah to appreciate. 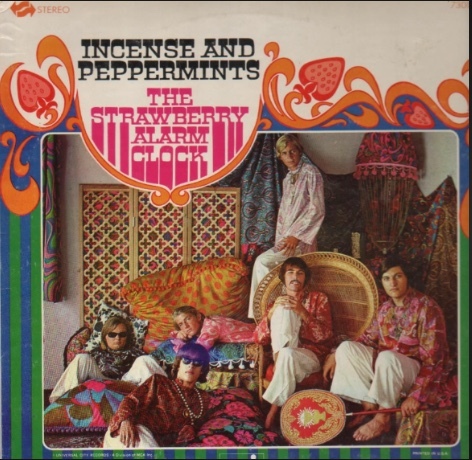 One interesting fact we learned is that Ed King, the Lynyrd Skynyrd guitarist who lives in Nashville, who co-wrote “Sweet Home Alabama,” was a member of Strawberry Alarm Clock, and actually contributed an uncredited portion of “Incense and Peppermint.” Ed, if you’re reading this, we’d love to hear more about your side of the story. 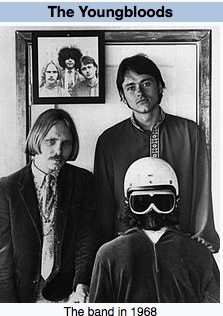 Steven Stills’ observation of Hollywood street riots became a big number for Buffalo Springfield. It features a smoldering groove, innovative use of guitar harmonics with tremolo, and Dylanesque political lyrics. Because it’s more authentic personal observation than a calculated trendy product, the song holds up surprisingly well. WannaBeatle Bryan sings lead on this one, because it fits his voice, and he’s old enough to remember it. Memphis boys make good. Singing lead for the Box Tops, Alex Chilton is a sneering bluesy teenaged pop star. We’ve added the trombone parts, but refrained from adding the sound of a jet plane to the sound track. We could do it if we wanted. Our fans know that we’ve added a jet plane to the sound track of “Back In The USSR,” so it’s no problem. We got sound effects if you want ‘em. What can you say about the Doors? Jim Morrison. Rebel, rock poet. Leather pants, sexual charisma. Unpredictable performer, tragic early death, buried in Paris. 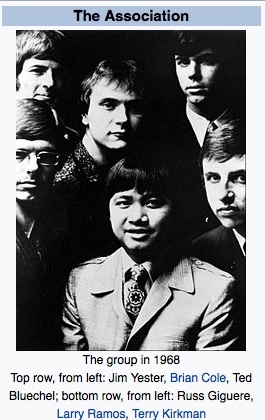 Paul Simon’s easy listening ditty, “59th Street Bridge Song,” was done by Harper’s Bizarre, a group from Santa Cruz, California formerly known as The Tikis. Producer Lenny Waronker turned their version of the song, with an arrangement by Leon Russell, into a hit. Dennis and I sing the harmony as if we’re Simon and Garfunkel (which is familiar to us, as we pretend to be that duo for another WannaBeatles bit, “Sounds of Nonsense.”) Nathan and David join us on the chorus to make it a four part harmony vocal. And then, some more complex vocal parts, this time from The Association. As with Harper’s Bizarre, this song requires many voices to sound anything like the record, so we’re putting our four voices to good use, and enjoying it. We also do the flute solo, although the original was played on recorder. “Windy” was the first #1 produced by Bones Howe, who later produced hits for the Fifth Dimension. You can hear the resemblance. This Neil Diamond song was a huge hit for The Monkees. 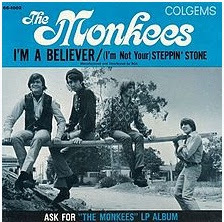 Mickey Dolenz sang lead, and did a great job. WannaBeatle David does a great job doing Mickey’s part. We really feel the energy when we do this song. 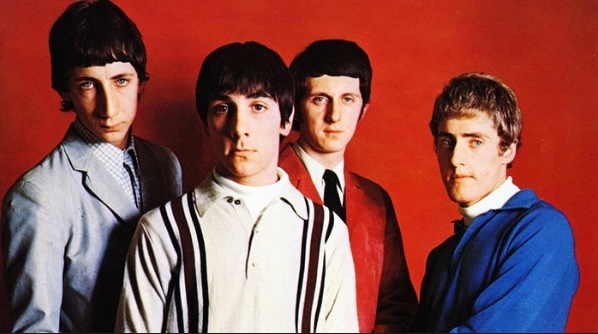 It contains some amazing harmonies on the chorus - partly Beach Boys sweetness, mingled with pungent dissonance, driven by Townsend’s power chords, Daltrey’s supple voice, and Keith Moon’s insanely hyperactive drumming. WannaBeatle David is thrilled to be studying the various fills found in the Keith Moon performances, even sending us examples of fills from other Who songs. Something about Keith Moon really wakes up the thunder in other drummers. Who can argue with a message like that? Of course, love is nothing new, but now that we’ve put these songs from 1967 into our minds and set list, we can look back and appreciate how love was expressed in a strange cultural explosion fifty years ago. We hope people will come to City Winery on June 11 to hear us play these songs from the Summer of Love, among the many wonderful Beatles songs that are so familiar.